The Gala Prize Giving for the Dubai to Muscat Race and the inshore regatta was hosted by The Chairman of the Muscat Regatta, Saleem Q. Al-Zawawi at Bandar Al Rowdha Marina. His Excellency Sheikh Khalid bin Omar Al Marhoon, the Minister of the Civil Service for Oman was the Guest of Honour, joined by His Excellency Ahmed bin Nasser bin Hamed Al Mahrizi Ministry of Tourism and His Highness Sheikh Khaled Bin Zayed Bin Saqr Al Nahyan, Chairman of the UAE Sailing & Rowing Federation. From its beginning, the Muscat Regatta has enjoyed the support of the Ministry of Tourism and the Ministry of Sports Affairs in Oman and many sponsors have contributed to the success. Notably Oman’s leading communications company Nawras and Oman Air but not forgetting; BAE Systems, Muriya Tourism, Aston Martin Oman, The Muscat Intercontinental Hotel, Eurocopter and MBDA France. Prior to prizes being awarded for the inshore regatta, class winners of The Dubai to Muscat Race took the stage to receive their trophies. 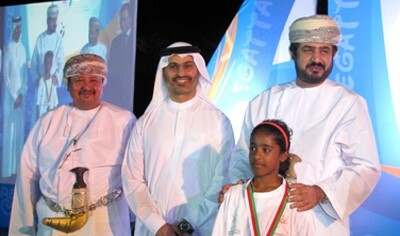 HH Sheikh Khaled Bin Zayed Bin Saqr Al Nahyan, Chairman of the UAE Sailing & Rowing Federation had come to Muscat from the Emirate to congratulate the winners. 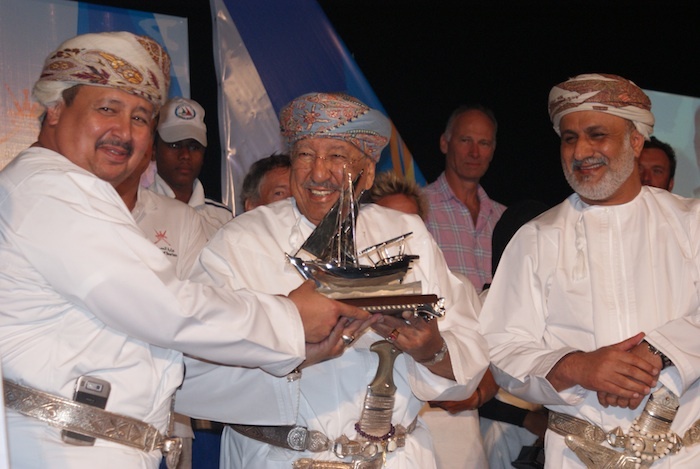 The prize giving was a joyous occasion with a steady stream of proud young Omanis and sailors from overseas, proudly collecting their awards with a partisan audience of 300 cheering every sailor, some as young as eight years of age. Probably the biggest cheer of the night was for the All-girl Farr 30 crew, Al Thuraya. Five of the eight-girl team are young Omani women and over six intense races, Al Thuraya was triumphant in the IRC division. Nawras CEO, Ross Cormack was on hand to welcome the team, an iPhone 5 was an additional prize but as the team was of eight, Nawras generously decided to give each one of the girls the latest smartphone. With the inshore regatta completed, the organisers of The Muscat Regatta have turned their attention to the main Regatta event; The Muscat to Khasab Bank of Beirut Chairman’s Cup race. This is the third edition of the 230-mile race. 13 Yachts competing under the RORC IRC system will be vying for a share of the $50,000 prize fund, generously donated by The Bank of Beirut. The Royal Navy of Oman won the first race back in 2009 and return to compete along with last year’s winner, Calum McKie’s Boracic. This year sees the largest and most competitive fleet ever. David Worrall’s Shahrazad is the inform yacht having won the Dubai to Muscat Race last week. Dee Caffari’s all women team, with five Omani crew, make their debut offshore race. GWM Racing will once again manage The Bank of Beirut Chairman’s Cup Race to Khasab. Starting at noon on Saturday 24th November, the yachts are expected to reach Khasab over the next few days with a grand prize giving in the remote northern province of Oman scheduled for Wednesday, 28th November. A record entry of competitors on the first day of The Muscat Regatta was blessed with sparkling sunshine and plenty of wind, which provided fantastic sailing condition for six classes of dinghies, multihulls and keelboats, racing just outside Bandar Al Rowdha Marina. A steady12 knots of breeze built during the afternoon to give some adrenalin packed action before fading away during the last hour of racing to give a tricky and shifty end to the day. 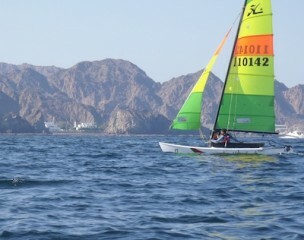 In the Laser Class, Mohammed Al Wahaibi from Al Bustan, near Muscat had an excellent first day. Mohamed is only 18 but has already experienced top-level international competition. Earlier this year, Mohammed was part of the first ever sailing team to represent the Sultanate of Oman at the ISAF Youth Sailing World Championships in Ireland. In the Farr 30 Class, Round the World sailor, Dee Caffari skipper of the all girls team, Al Thuraya, had a fantastic day on the water, scoring two wins and a second in today’s three races. Dee Caffari explains just how far the girls team has come in a very short period of time. “This will be the first Arabic women’s team in offshore sailing, if it was just teaching the team how to sail that would be relatively easy but making them into a winning team is much harder. Yes there are cultural differences but Omanis have a heritage in sailing and we are using that to our advantage. However, the team has to understand that they are training to become athletes; nutrition, physical preparation, even clothing for life offshore is all new to them. Recognised by the Royal Ocean Racing Club, the 2012 Dubai to Muscat Yacht Race is organised by the UAE Sailing & Rowing Federation and hosted by the Dubai Offshore Sailing Club. HH Sheikh Khaled Bin Zayed Bin Saqr Al Nahyan, Chairman of the UAE Sailing & Rowing Federation was the guest of honour for the start. After three and a half days of racing the prestigious Dubai to Muscat Race came to a conclusion with all yachts accounted for on the morning of Thursday, 22nd November. Racing under the RORC’S IRC Rule, the overall winner of the race was announced as Doug Worrall’s First 36.7, Shahrazad, which also claimed line honours. “We stayed out of trouble and kept going, it was as simple as that.” Suggested Doug Worral “We stayed offshore at the start in the Arabian Gulf, to keep away from fishing nets and we got the added bonus of more wind than the yachts that chose the inshore option. Later in the race, after we rounded Khasab, we could see a terrific storm ahead and we prepared to reef and eased sheets to avoid it, this good seamanship was rewarded as we managed to skirt around the edge of the storm and in control, we had excellent boat speed. Matt Britton’s J/92 Privateer was the smallest yacht in the class and claimed third overall, short-handed it would have been tough going on the 30-foot yacht. Barrie Harmsworth’s custom 43, Bin Toak had four Emerati crew on board. Abdul Aziz Alobaidli, Ahmed Qubasi and Ahmed al Marzooqi and Adil Khalid. All four are experienced laser sailors and Adil was part of the Volvo Ocean Race crew on board Azzam, the first Arabic entry in the prestigious round the world race. 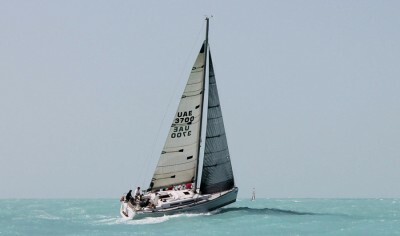 With all of the yachts in the Dubai Muscat Race finished, attention in Muscat has turned to two days of inshore racing. 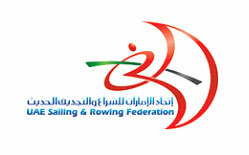 Hundreds of sailors from Oman and overseas are taking part in the reatta. However, next Saturday, 24th November marks the return to offshore action with start of 230-mile Bank of Beirut Chairman’s Cup Race to Khasab with a prize fund of $50,000, generously donated by the title sponsor. 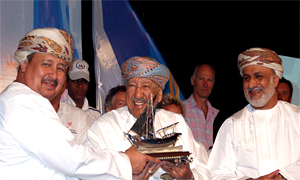 Now in its fourth year, The Muscat Regatta is well established as the premier open sailing event in the Middle East. There has been a growing development of yacht racing in the region and The Muscat Regatta is a celebration of offshore and inshore racing for a huge variety of amateur sailors, both from Oman and overseas. Expertly managed by the highly experienced GWM Racing team, the regatta has gone from strength to strength with a record entry competing this year. The build up to the regatta starts with 21st Dubai to Muscat Race, organised by the United Arab Emirates Sailing and Rowing Federation. This historic 360nm race has now achieved recognition by the UK’s prestigious Royal Ocean Racing Club and therefore ranks alongside all other RORC recognised offshore races. An international fleet of Rally Class, performance cruisers and racing yachts will be taking part. Dubai based communications company, Xtra-Link has equipped the yachts with the latest satellite communications equipment. Including satellite phones and also hi-tech satellite tracking devices. Allowing race fans, all over the world, to watch the race live, as it unfolds. Passing through the shallows of the Arabian Gulf and into the deep water of the Indian Ocean via the Straits of Hormuz. The route from Dubai to Muscat is definitely a challenging one with awe-inspiring scenery. 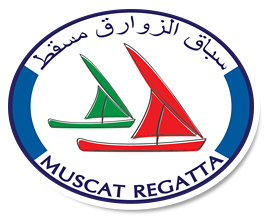 The fourth edition of The Muscat Regatta has the same format, two days of inshore dinghy and keelboat racing. This year’s entry list is expected to be double the size of last year with more than 100 dinghies and keelboats expected to take part. Classes include: Optimists, Q’BA’s, Lasers, Hobie Cats and Weta Class Trimarans. 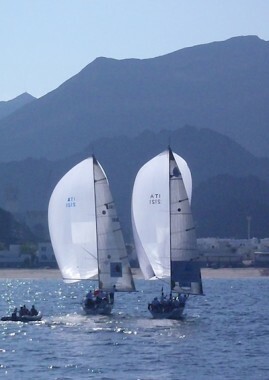 The Muscat Regatta is hosted by Oman’s premium marina, Bandar Al Rowdha. Established in 1996, Marina Bandar Al Rowdha is just a few miles outside the capital city. Located in a truly beautiful setting amidst the Sultanate’s crystal-clear waters, the marina has extensive dinghy and keelboat facilities. A fully licensed restaurant, bar and swimming pool is available to all participants and will be the setting for The Muscat Regatta Prize Giving. His Excellency Doctor Omar bin Abdulmunim Al Zawawi & His Excellency Sheikh Abdulmalik Al Khalili were given a warm welcome from Saleem Q. Al Zawawi, Chairman of the Muscat Regatta. The prize giving was attended by over 300 hundred VIPs and honoured guests. His Excellency Doctor Omar bin Abdulmunim Al Zawawi & His Excellency Sheikh Abdulmalik Al Khalili were given a warm welcome from Saleem Q. Al Zawawi, Chairman of the Muscat Regatta. A full race report and pictures from the prize giving to follow. 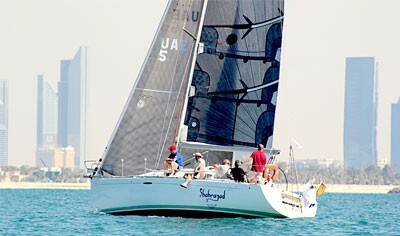 After a short delay, racing the 2011 Muscat Regatta got underway. The fifty-boat fleet left the safe confines of Marina Bandar Al-Rowdha to a gentle easterly wind that had filled in across the racecourse. 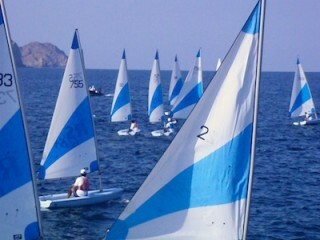 The four classes experienced sparkling conditions with clear blue skies and calm seas. The light winds stayed constant all day, providing some close racing action in the shadow of the magnificent Jebel Akhdar Mountains. 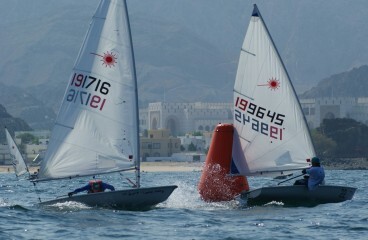 The 24 strong RS Q’BA fleet, racing for the Nawras Cup, enjoyed a tight course close to the beach at Al Bustan Palace. 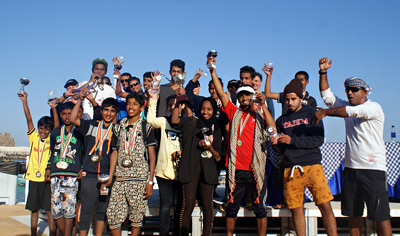 The competitors were composed of Omani sailors in their teenage years, many of whom dream of racing in the big boat classes. Bshar Al-Jabri, a student from the Rashid bin Al Nadher school, had a very consistent day on the water and was rewarded by claiming the overall lead after coming second in both races. Race One saw Mohammed Ali Al Wahaibi take the gun. However, Ibtisam Al Salmi won the second race by some margin. The young Omani girl, correctly chose to start away from the rest of the fleet to gain a big advantage and win the last race of the day. Naseer Salem Al-Rezaki and Mohammed Al-Muaimi raced well today and are also very much in contention for the class title. Nine sailors are competing in the class for the Thales Cup and after a close battle on the water, Ken Greene leads by the narrowest of margins from Omani youngster, Hamza. Greene is just three quarters of a point ahead of Hamza with Ahmed Bin Humaid Bin Khifan Al Shamsi in third place overall. Yousef Bin Hamed Bin Khaseeb Al Sheyadi finished the day in fine style by winning the last race of the day. Eleven Hobie 16s are racing for the Eurocopter Cup and five of the teams are very much in contention after two close races. Musab Alhadi & Ahmed Al Balushi lead overall, on account of coming second in both races. Tied on points for second place are Giles & Jules Brinsley together with Paul Waklin & Asrar Aljami. There is also no difference between Sullaman & Abdul Latif, who have the same points as Akram Al Wahaibi & Hashim Al Rashdi. The Hobie 16 Class is extremely competitive; only three points separate the top five teams, so there is all to play for tomorrow. On the water, the Farr 30 Class was a joy to behold, exhibiting exciting close racing. The powerful yachts were in close quarters, dancing along the water, swapping tacks and gybes. Abdalah Al Farsi steering for Oman Sail may have won both of today’s races but there was barely a moment when the class was far apart. 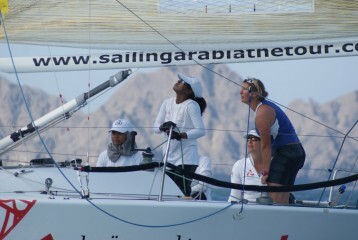 Ahmed Al Marmari steering the second Oman Sail entry lies second with the Royal Navy of Oman team in third.